Spend four weeks learning different styles and methods of using canes to make beads.You'll have a lesson each week with the canes I have designed to follow along step-by-step to recreate the beads in this collection. There will be optional skill builders each week to learn how to go beyond the designs taught and apply the skills to make your own original design. 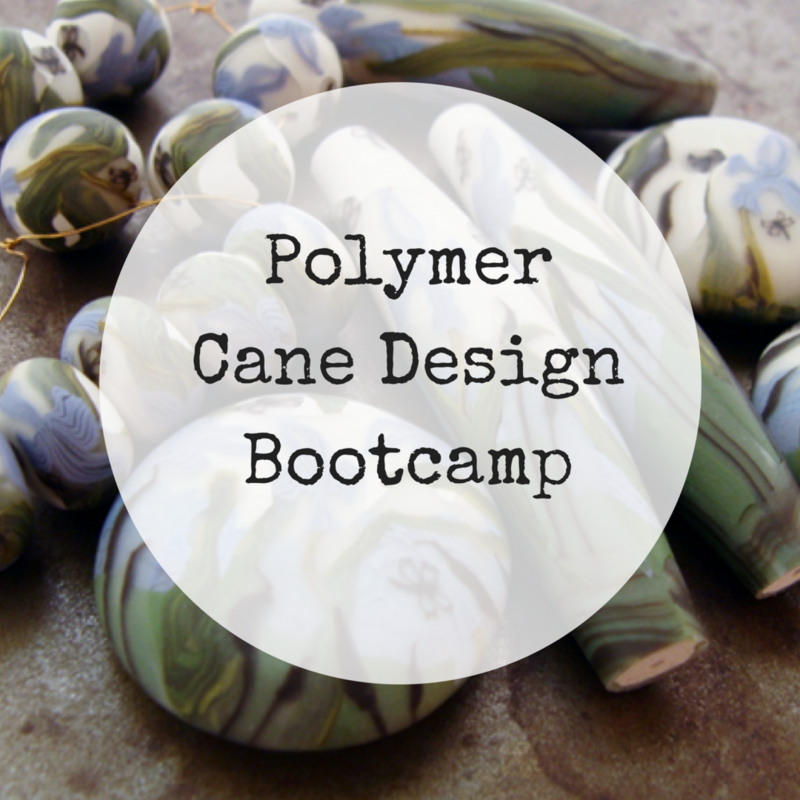 During this bootcamp you will also learn the basics of how to design your own canes, how to gather inspiration and do creative brainstorming to create a collection of beads that reflects your own artistic vision. These lessons will start you on the journey to go beyond techniques and find your own style. 1. You love the beads pictured here and want to learn step-by-step how to make them for your own jewelry designs. 2. You want to learn some great tricks for building and creatively using canes to create intricate looking beads. 3. 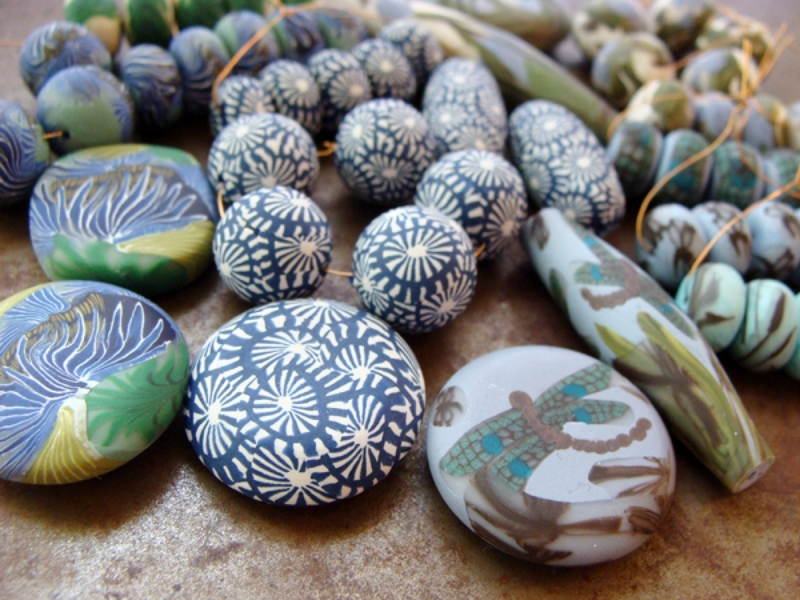 You want to learn how to find your own voice in polymer clay and dig deeper to create a unique collection of your own beads with some guidance and inspiration along the way. We'll start out with the simple designs and build on your skills each week to create more complex beads as the lessons progress. You can do the optional skill builders to design your own canes or just follow along and make the beads presented each week. This class is open to all skill levels, whether you've worked with polymer clay for years or this will be your first adventure. 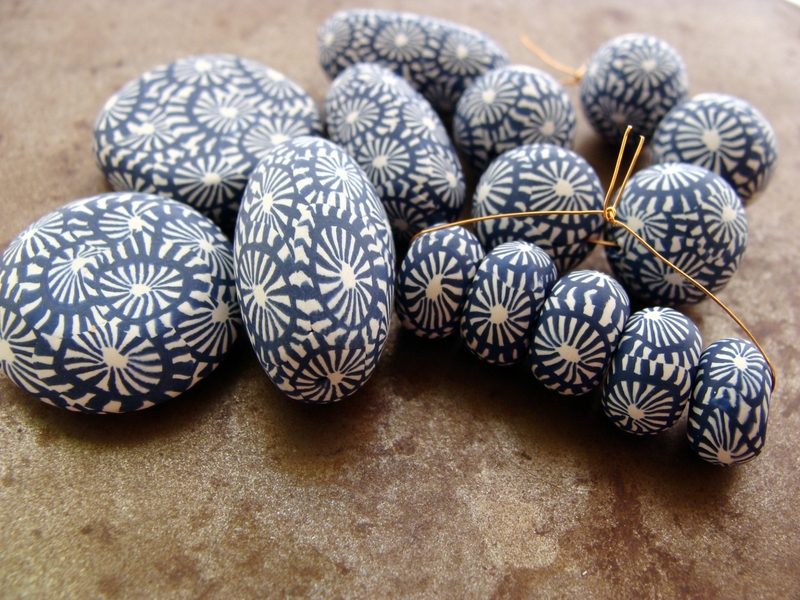 I love using simple techniques to create beads that look very intricate, don't worry - you can make these beads! In the classroom you'll have access to PDF tutorials, worksheets to download and video demos of some of the beadmaking skills that will help you feel like you are in the classroom with me. There is also an optional private Facebook group for this class. Class is currently ongoing and self-paced. You'll have lifetime access to the classroom and Facebook group. You'll be added to the classroom and have access to the materials within 24 hours of purchase. 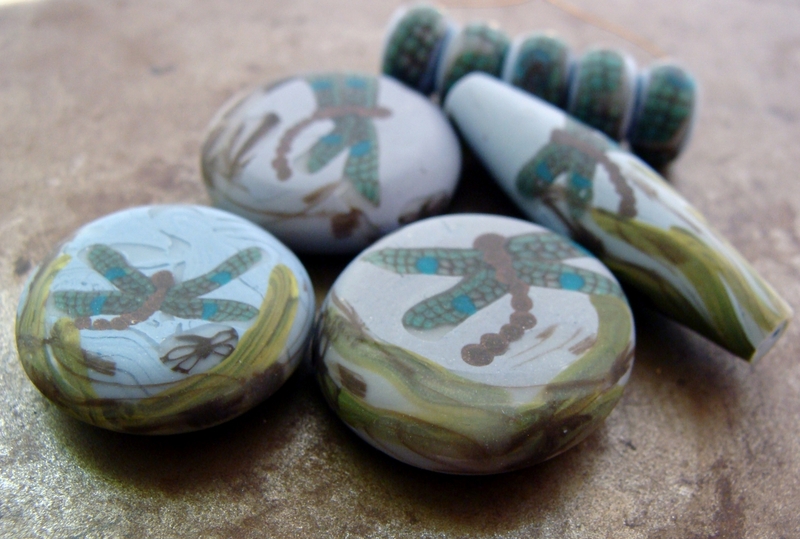 Skill Builder: Creative Briefs - How to create a mood board for a bead or jewelry collection. Skill Builder: Design a geometric cane. 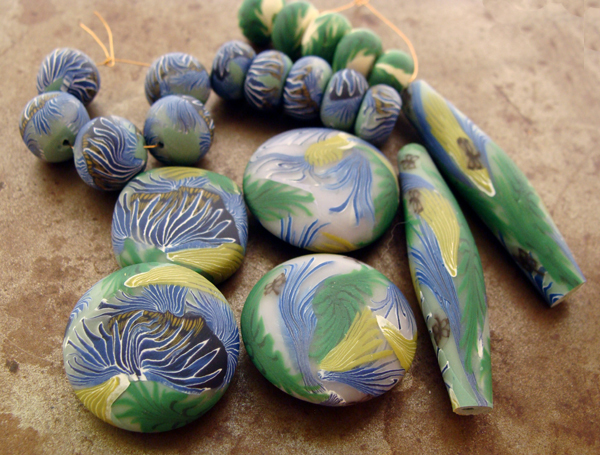 Skill Builder: Symbols and Motifs - Learn to use personal meaning to create better beads. Inspired by a glass vase from Emile Galle we will combine canes from previous weeks and this week to create a layered picture bead. Skill Builder: Your Muse - Steps to find your voice and unique style. 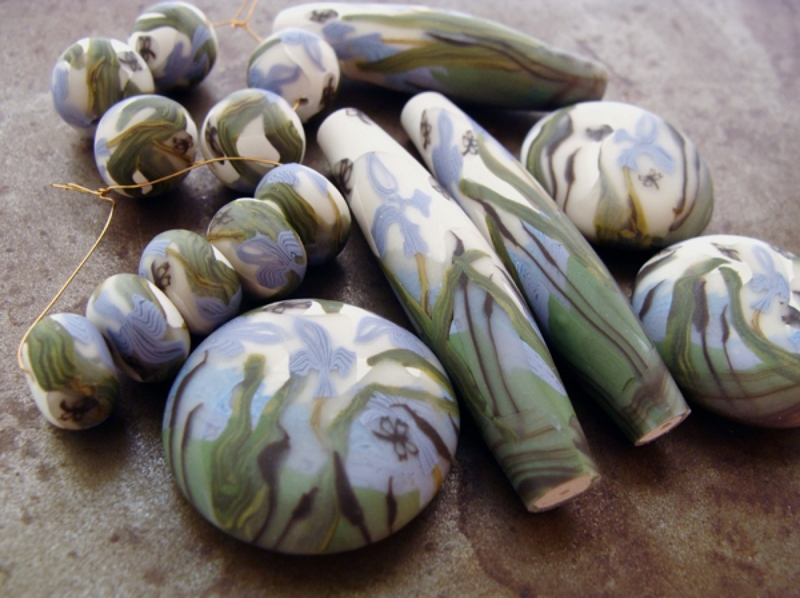 Botanical Print Canes - we'll make a simple and complex flower and a two styles of leaf canes to create these beads. Optional Skill Builder: Design a complex picture bead with several canes. Clay: Below is the basic suggested amounts for the projects created in the class. You will want to have lots of clay on hand to practice and explore the possibilities each week. *Watch for sales at the craft stores for the best prices on polymer clay. You'll need access to the internet, Adobe Reader (it's free here), and a blogger or gmail account to access the classroom. A Facebook account is required to join the the optional Facebook group. A camera is also optional if you'd like to take photos of your projects for feedback or questions. I recommend Premo clay for the best results for this class. 1. The images, text and classroom materials may not be shared with anyone or posted anywhere online. 2. You may create the beads in the assignments to use in your jewelry for personal use or to sell. 3. Please respect my copyright and designs. You may not sell the exact bead designs created from these tutorials. 4. You may use the techniques in the classes to design and sell your own original beads. By purchasing the class you are agreeing to these copyright and use terms.